From the colorful world famous houses in Nyhavn to the castles sprinkled throughout, Copenhagen is a beautiful city and has become one of my favorite places. 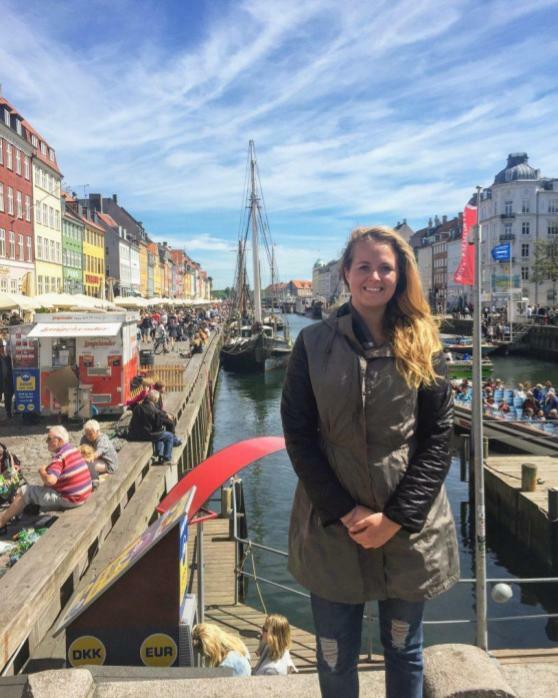 Doing a semester abroad in Denmark has been a life changing, eye opening experience. The different style of schooling with only 2 classes per day but for 4 hours (2 hours of lecture + 2 hours of tutorial) allows you to really focus and gain a deeper understanding of the material. The tutorial sessions are very engaging and hands on. We have used specialized software and programs to design models and determine contamination risk assessments. Besides school, getting to meet other exchange students from all over the world has led to some great friendships and memories being created. The Danish culture thrives on biking, social interaction and community, so there is always some kind of event going on at the university or in Copenhagen. DTU offers so many unique clubs and there is literally something for everyone. I enjoyed playing basketball for DTU’s women team as well as learning Danish through the free language classes offered. Another huge benefit of being in Denmark is the easy access to other countries. By the time I return home at the end of May, I will have had been to 13 countries! With budget airlines such as Ryanair you can buy a flight to London for the cost of dinner in Vancouver. Travelling really does force you to step outside of your comfort zone by losing sight of the familiarity of home. Most people know someone who has studied abroad and have heard the associated benefits. Honestly, for myself though, study abroad has helped me grow academically as well as personally. It has taught me about different viewpoints not only in regards to engineering but for life in general. I have learned to be more resourceful and a better problem solver (for example, what to do when your phone dies and you can’t use google translate to communicate). Overall though, I am extremely grateful to have had the opportunity to continue my environmental engineering degree while travelling, making new friends, feeding my foodie habit, and seeing some of the beauty the world has to offer. I highly recommend study abroad to anyone.